Peanut Butter Cheerio Bars Recipe! 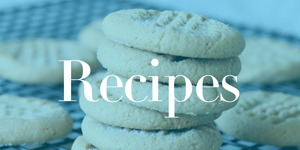 Home / Savings Blog Posts / Recipes / Breakfast Recipes / Peanut Butter Cheerio Bars Recipe! Mmmm! Check out this Peanut Butter Cheerio Bars Recipe! Make this Easy Peanut Butter Cheerio Bars Recipe if you are looking for a fun snack idea or breakfast recipe for your kids! These Cheerio Bars are a fun treat recipe for parties or to take to your small group brunch or baby shower! The options are endless, and these are sure to be a hit! Plus, here are even more Breakfast Recipes! Line 8×8″ pan with aluminum foil. Set aside. Cook peanut butter and honey over medium heat stirring constantly until completely melted and blended. Remove from heat and stir in cereal. Mix until evenly coated. Refrigerate for 1 hour before cutting into bars. Store any remaining in refrigerator. TIP: I like to use Wooden Spoons when I make a recipe like this. Spray your wooden spoon with cooking spray to keep it from sticking to the ingredients! Receive Free Shipping with Amazon Prime, or Free Super Saver Shipping on orders of $35 or more! Check out this Homemade Coffee Cake Recipe for another brunch or breakfast recipe! How many bars does this recipe typically yield? Trying to estimate the calories. Thanks! Hello! I just made the Peanut Butter Cheerio bars…I made them for my little boy because I thought I wouldn’t like them so therefore wouldn’t eat them, lol…I was wrong, they are amazing. The only change I made was I added some coconut oil and white chocolate chips…so so so good!! That Sounds amazing! Thanks for sharing! Thank you SO MUCH for posting this recipe!! I have made these for the past month or two! I love them!! Do you think I could substitute maple syrup for the honey? I just made a large batch of syrup this past weekend for a brunch and looking for something to do with the leftovers! How do you think this recipe would come out using Honey Nut Cheerios? It might taste pretty good. If you try it come back and comment to let me know how you liked it. ENTER YOUR COMMENT HEREhow long do you think these would keep in the fridge? Would they freeze well too?